On June 27, just before 1 a.m. on the Chicago’s west side, police officers tried to pull over an SUV that matched the description of one used in an earlier carjacking. But the driver of the SUV, Taylor Clark, a 32-year-old off-duty cop, sped off, setting off a chase that would end with Clark and another driver dead, and a mystery. 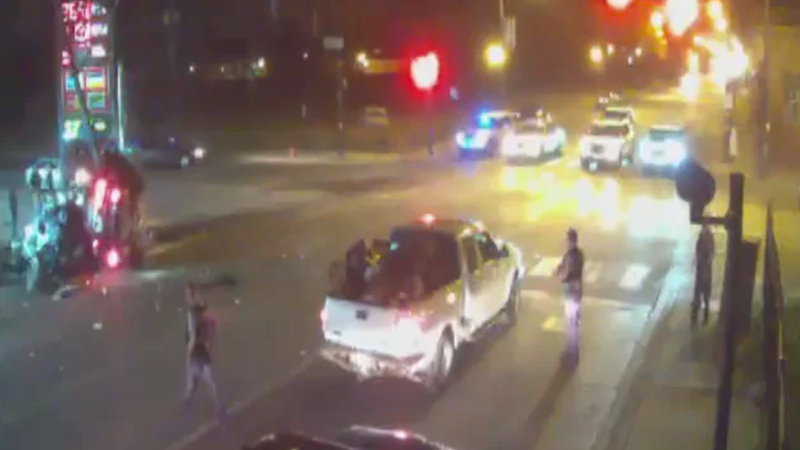 The Chicago Office of Police Accountability released videos of the crash on Tuesday, which show Clark, a four-year veteran of the Chicago’s police force, running a red light before violently colliding with a car driven by 27-year-old Chequita Adams. Adams died within minutes of the crash; Clark was pronounced dead around two hours later. What no one seems to know is why Clark fled to begin with. He had just gotten off work and was heading to his girlfriend’s home; toxicology tests later showed no signs of drugs or alcohol in his system. Moments before the crash and a few blocks away, Clark had fled from on-duty Area Central gang team officers who, while riding in an unmarked police car, tried to stop him because the Jeep looked like one involved in a carjacking, police Superintendent Eddie Johnson said at the time. But the officers broke off the pursuit shortly before the crash, according to Johnson. We may never know why Clark chose to flee, but the incident will continue to be scrutinized, both by the police accountability board and a federal lawsuit Adams’ family filed in the wake of her death.